Anyone have any experience with these? I'm looking for a tele and I've found someone local selling a '85-86 60's reissue tele. He says he is the original owner and it is in 'perfect condition'. It has an AXXXXXX serial number. Anyone have opinions of them? I have the same guitar, but it's a strat, from the mid 2000's and it's great. Curious if there is anything unique about the earlier ones from the 80's. I have a fender made in Japan esquire from 1986. I never had a later one to compare it to but mine is a lovely, lovely guitar to play. If it's local definitely check it out! I have a 90s bound Tele Custom. It’s a phenomenal guitar. Everything is stock, but I did clip the treble bleed cap. Here's a pic of this guitar. 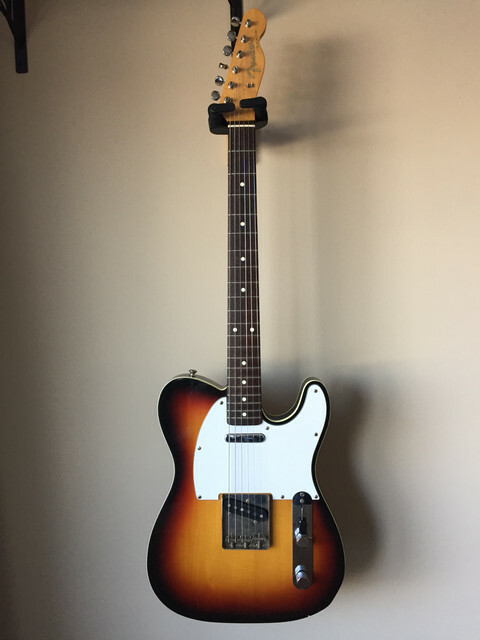 My first tele, it's amazing. The guy said it was an A serial number (the serial number on the bridge plate) but it's actually an E. He was the original owner and said he bought it in the early 80's. I'm guessing it's probably an 84 or 85. It's in great condition. Love the neck. It's on the thinner side but has really rounded edges and feels great. Came with an old fender case for 1K CDN.